Collision repairers should begin to start encountering Subaru’s new global auto body platform, which first appeared on the next-generation 2017 Impreza and returns again soon on the 2018 Crosstrek. 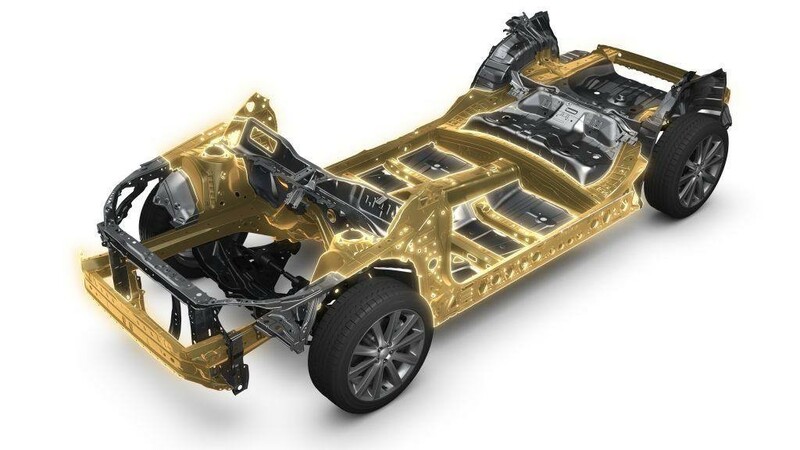 The OEM has provided some greater details about the steel structure in the Subaru Global Platform — which will ultimately provide the architecture for all next-generation Subarus — notably how its design manages collision energy and enhanced rigidity. A PowerPoint presentation provided by a spokesman indicates the Subaru Global Platform 90 percent more chassis front lateral flexural rigidity and 70 percent chassis torsional rigidity, 70 percent more front suspension rigidity and 100 percent rear subframe rigidity. The presentation on the global platform also shows a vehicle underbelly with more “front frame rigidity,” a stronger torque box in front of a stronger side sill rail, which is in turn followed by a stronger rear frame joint. Notably, the front frame continues at a diagonal angle from the torque box to the rear frame joint, rather than in a horizontal line connecting to a crossmember as in the previous generation of the platform’s skeleton. A graphic provided separately from the PowerPoint presentation also depicted a “(H)igh rigidity foaming agent” in the rear frame rail area, which in addition to rigidity probably helps with noise, vibration and handling. The following joining technology is adopted. 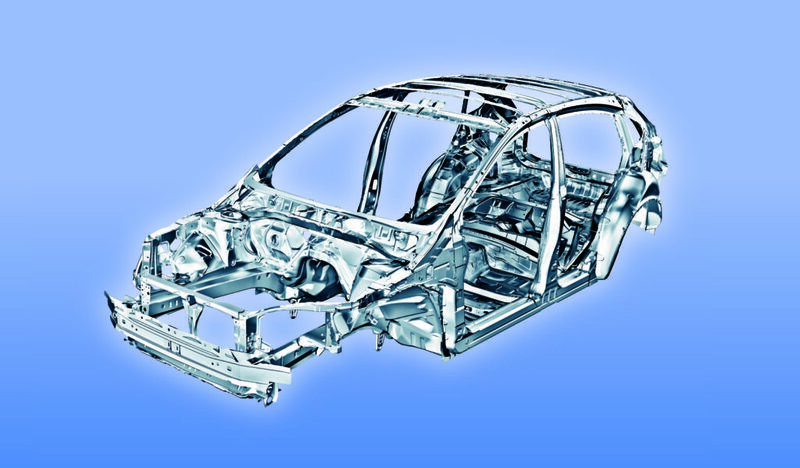 Another Subaru graphic provided to us indicates the front frame rails of the new Subaru Global Platform have a resistance 20 percent higher than the previous-generation platform, and the diagonal frame member extending from them is composed of hot-press steel. The OEM added framework to the transmission tunnel and increased the cabin strength in the toepan area transmission tunnel, and sill rail, according to the diagram. The bumper reinforcement beam is part of a “(g)ussetted” front-end structure including a “(c)rush box used for increased safety and lower repair costs.” The elaborate design is going to be a crucial detail for a repairer to properly restore. 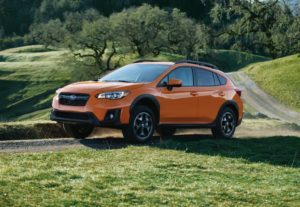 “The new platform underpinning the 2018 Crosstrek improves crash energy absorption by 40 percent over present models,” Subaru wrote. Some of the changes might have led to the 2017 Subaru Impreza performing even better on the IIHS small-overlap test than the 2016 prior-generation edition. The car aced the 40 mph test and overall earned a Top Safety Pick+ both model years, but there was even less intrusion in the 2017 Global Platform model. Maximum intrusion at the driver’s footrest — i.e., the likelihood of the driver’s legs and feet being crushed in a crash — dropped 5 centimeters from 12 cm to 7 cm on the wagon version of the Impreza, according to to the IIHS. The upper interior intrusion fell from 4 cm to “2-4 cm at the upper hinge pillar and instrument panel,” the IIHS wrote. Neither the Subaru diagrams nor the representative providing answers to our question went into details into the different grades of steel on the vehicle aside from the reference to hot-stamped steel. However, the references to the platform’s increased strength, energy absorption and rigidity suggest shops can probably expect a cornucopia of steel grades, including more of the higher-strength steels carrying repair restrictions. As far as other lightweight substrates, the hood is aluminum, Subaru said. As noted above, Subaru plans to make all of its next-generation models using the platform through at least 2025, so if techs familiarize themselves with the automaker’s recommendations (available here via I-CAR), they should be relatively comfortable with all next-gen Subarus. (Though shops should still double-check OEM procedures online on every car, every repair.) But a technician wrong about one element of the modular platform’s repair will likely repeat the error across all the Global Platform Subarus he or she encounters. Of course, given the rapid technological change, the technician might have to adapt multiple times before the platform becomes obsolete. “The platform anticipates further improvements in strength and new materials and has the potential to continue to offer the world’s highest levels of collision safety even in 2025,” Subaru wrote about the platform in 2016.